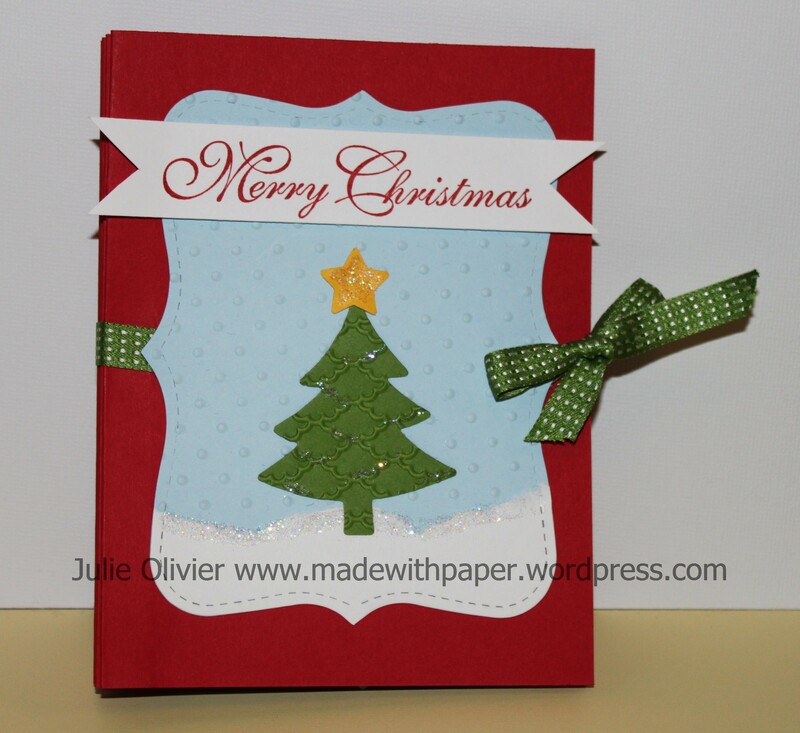 If you like this card, come make it with your child at my Children Christmas Class on Sunday December 2, at 2:00 pm. We’ll also make another card and a Christmas ornament to keep or to give as a present! Register early as I have limited place! 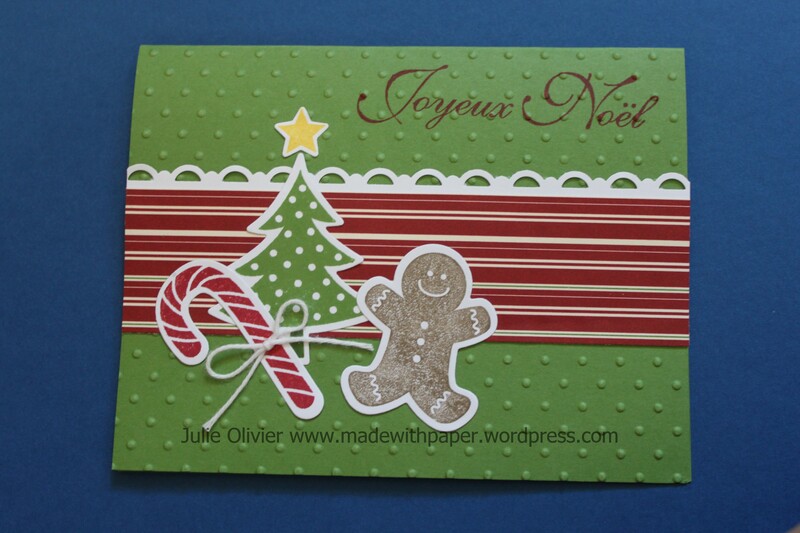 I used two Christmas stamp set: Scentsational Season (the Gingerbread man) and Jolly Bingo Bits (for the background). Althought it’s not obvious on the picture, I added some Dazzling Diamonds on the Gingerbread men. The bowtie and the bow are made with the little heart from the Owl Builder punch. The outside is quite simple. I used the Top Note Bigz die to cut the front in Bashful Blue card stock. I embossed it with the Perfect Polka dots folder. I added a strip of Whisper White card stock that I tore to make a “rough edge”. I cut it with Top Note and glued in place over the blue one. 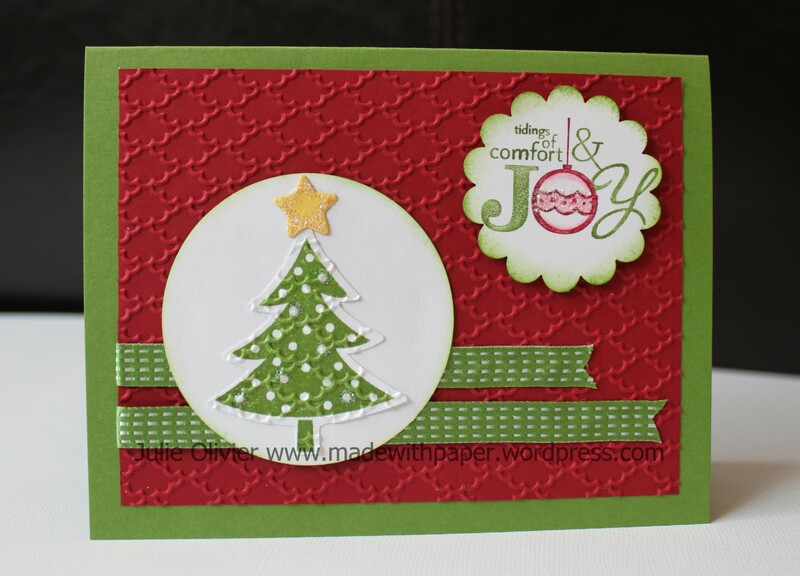 The tree and the star were cut using the Holiday Collection Framelits dies. 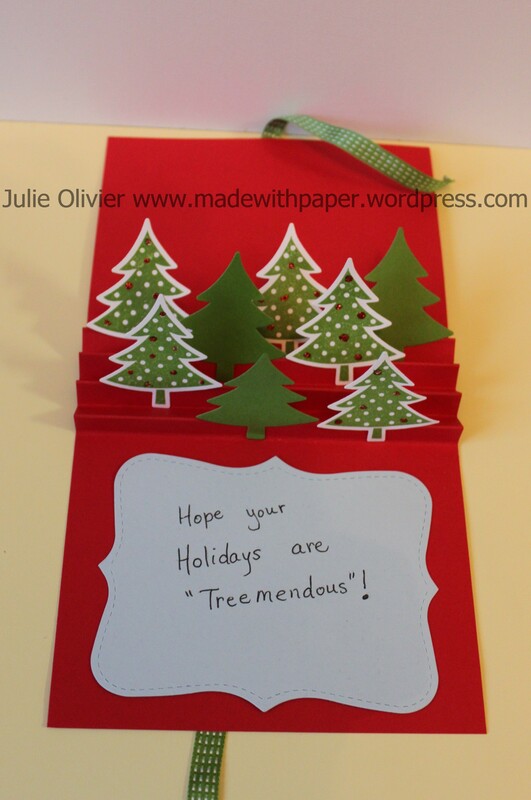 I embossed the tree with the Fancy Fan folder and I added some dazzling diamonds. I added dazzling diamonds on the star and the “snow” edge. The greeting is from the “Greeting of the Season” set. I added a Gumball Green Stitched Satin ribbon to tie a bow and keep the card closed. Tools: Big Shot, Top Note Bigz die, Holiday Collection Framelits dies, Fancy Fan and Perfect Polka dots embossing folders, Simply Scored Scoring tool. Accessories: Gumball Green Stitched Satin ribbon, Dazzling diamonds, Dazzling Details Cherry Cobbler. What to do with your FREE Stitched Satin ribbon??? Have you seen that Stampin’up is offering a FREE spool of Stitched Satin ribbon with every $50 order? 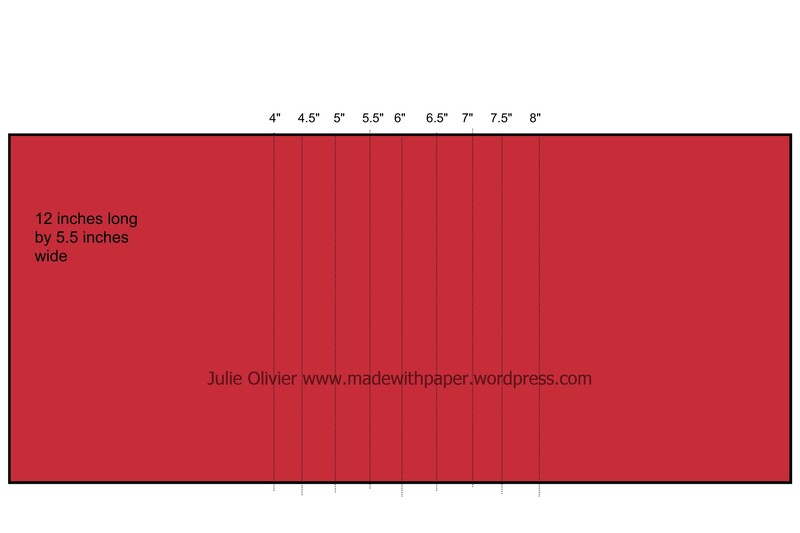 I want to give you some ideas of how to use this free ribbon!!! 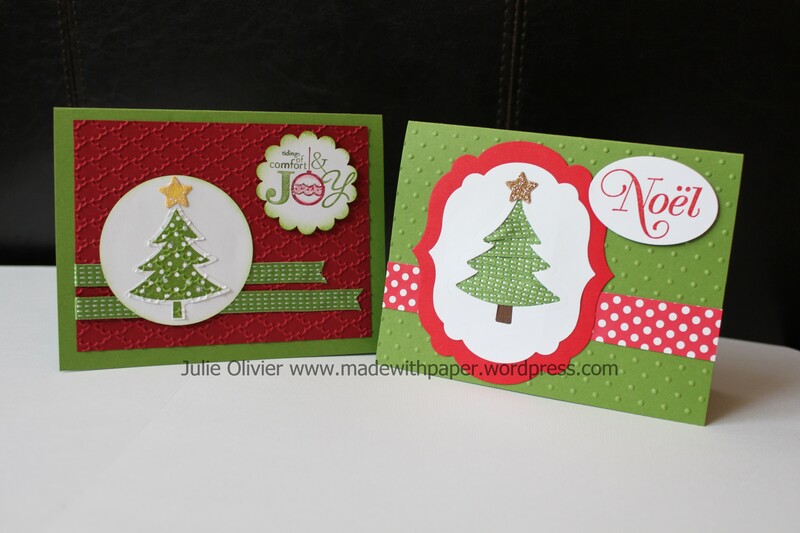 I made two cards that are a bit similar and both use the Gumball Green Stitched Ribbon in 2 different ways… I used the Holiday Collection Framelits dies for both cards. For the first one, I used the ribbon to create a border on my card. The best way to adhere your ribbon on the card is the Snail adhesive. It sticks very well and it doesn’t show through. For that card, I stamped the tree with the stamp from the Scentsational Season set. I embossed it with the Fancy Fan folder to give some texture and added some Dazzling Diamond glitters on the star and the tree. The greeting is from Word Play. I used the Stampin’ Markers to color it so I would have more than one color on it. CS and paper: Gumball Green, Cherry Cobbler, Whisper White, Daffodil Delight. Tools and punches: 2-1/2 in Circle punch, 1-3/4″ Scallop Circle, Big Shot, Holiday Collection Framelits dies, Fancy Fan embossing folder. For the second one, I used the Tree Framelit (from the Holiday Collection) to cut out the tree and then I used the ribbon to fill the “space” and create the branches. To adhere my ribbon, I used the snail adhesive all around the outside edges of the tree, on the back of my paper. The ribbon adds a really nice finish to this card! 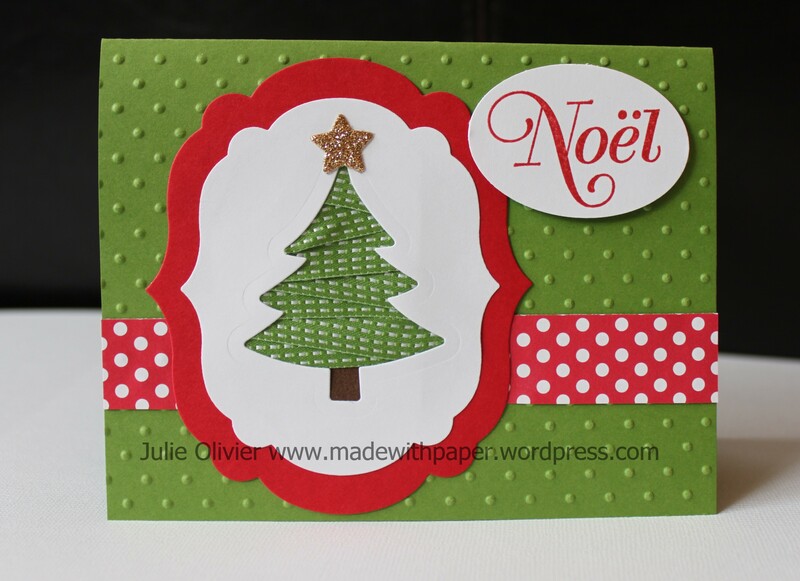 I cut the star in Champagne Glimmer paper (love that paper!) with the star framelit (also in the Holiday Collection Framelits). I used the Label Collection framelits dies to cut the shape around the tree. I added a little border made with the Polka Dot Parade DSP and the greeting is from a set in the Holiday mini-catalogue called Voeux Indémodables. CS and paper: Gumball Green, Real Red, Perfect Polka Parade DSP, Whisper White, Early Espresso, Champagne Glimmer paper. Tools and punches: Extra-Large Oval, Big Shot, Label Collection Framelits dies, Holiday Collection Framelits dies, Perfect Polka Dots embossing folder.